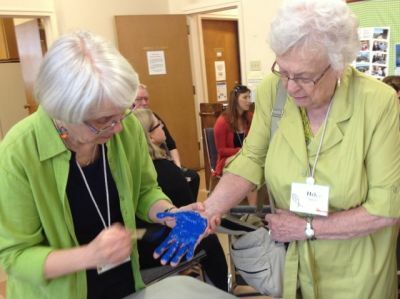 As an Affirming Congregation we seek to be a vital faith community within The United Church of Canada engaged in spirituality, justice and creativity informed by Jesus Christ and the Bible, and discerning the call of the Trinity as we celebrate diversity, inclusivity and abundant life. Our Rainbow Flag: The Rainbow Flag – flying inside our sanctuary and outside above our front doors – has long been a symbol of LGBTQ+ Pride reflecting the diversity of sexual orientations and gender identities. The original gay pride flag flew in the San Francisco Gay Freedom Day Parade on June 25, 1978. The six colours represent: Red – Life; Orange – Healing; Yellow – Sunlight; Green – Nature; Indigo/Blue – Serenity/Harmony; Violet – Spirit. Working for the full inclusion of people of all sexual orientations and gender identities in the United Church of Canada and in society. 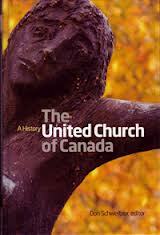 Affirm United/S’affirmer Ensemble is a justice-oriented organization of people in The United Church of Canada. 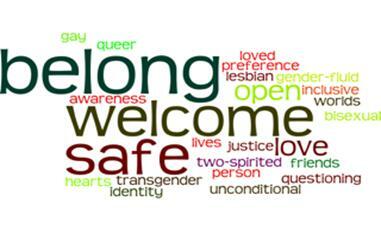 Membership is open to all those who support our work, regardless of sexual orientation and gender identity. We draw our vision from our faith tradition: Affirm United/S’affirmer Ensemble is a voice and a support for people of all sexual orientations and gender identities. We draw strength and hope from biblical stories of liberation; from the prophetic call to live justly, love tenderly, and walk humbly with God; and from Jesus’ witness to God’s inclusive love. Welcome to our Consensus newsletter archives. Old is good and so is new! Sign up for our national e-newsletter here. Banner Making at Sydenham Street! June 15, 2014: Kingston Pride Parade wound its way through downtown Kingston. 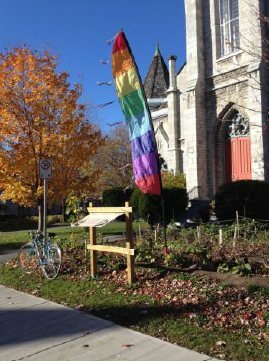 This was the 25th Anniversary of Kingston Pride, and the 12th year that Sydenham Street United Church (SSUC) has marched with a congregational banner. At 12:30 pm SSUC marchers gathered in the Chancel to pick up the new SSUC Pride Banner and then walked to City Park to join the Parade which left at 1pm. 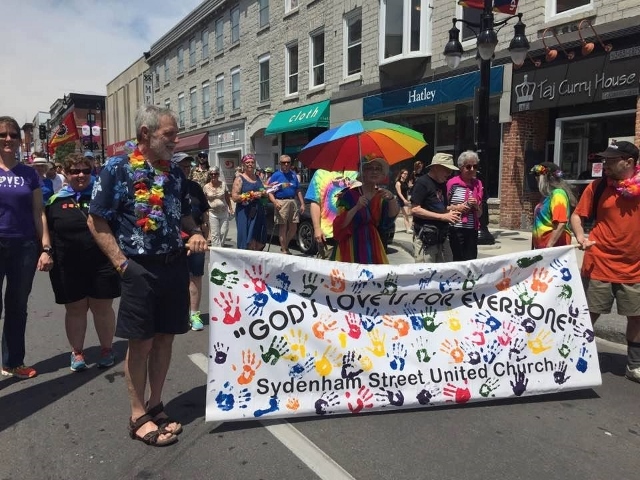 Members and friends of Sydenham Street United Church took the message that “God’s Love is for Everyone” to the streets in the Kingston PRIDE Parade. “. 2014 has been a Rainbow Year!!! The guest speaker for the weekend was the Reverend Michael Blair, the United Church’s General Council Executive Minister for Church in Mission. 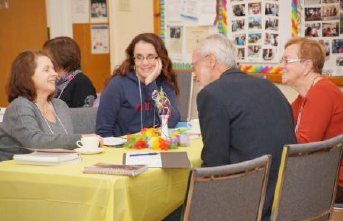 At the workshop, Michael challenged those present – some from Affirming Ministries and many from congregations who are exploring becoming Affirming – to focus on discipleship combined with ecology when we think about what is right and what is wrong in our world. As we live in God’s creation, rich with diversity, who are we to judge who is “in” and who is “out”? 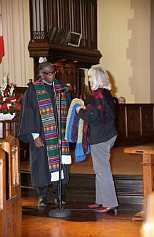 During worship on Sunday, Michael praised Sydenham Street United Church for offering a safe sanctuary for people who have been persecuted, oppressed and turned away by the church over the past many years. He challenged us to be continually listening for God to speak to us . . . . God is always at work in the world. Will we join God in that work? And if we do, we must be willing to step out beyond our comfort zone to risk engaging in what God is calling us to do and we must step out with courage. 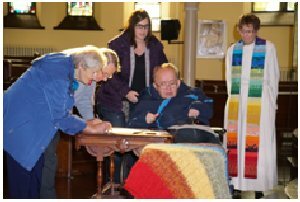 A highlight of the service was when people in the congregation, both members of SSUC and friends present, came forward to sign the framing matt of our revised Vision and Mission Statement, adopted on October 26th by the congregation. As individuals did this, they also placed hands of blessing on a prayer on a prayer shawl which was then presented to Michael with thanks. 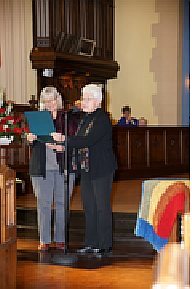 A certificate of Recommitment was presented to the congregation by Judy Amsbury, Affirm United/S’affirmer Ensemble. What will the next 15 years hold for SSUC? We anticipate the challenge of listening, risking and acting courageously as we live in God’s world, a world of diversity! 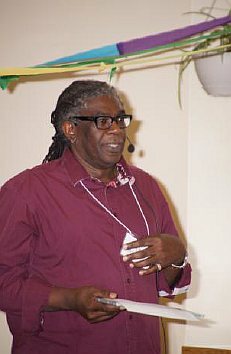 Affirm United/S’affirmer Ensemble is a justice-oriented organization of people in The United Church of Canada. Membership is open to those who support our work, regardless of sexual orientation and gender identity. For more information on Affirming Congregations see Affirm United/S’affirmer Ensemble Web Site or print the Affirm United/S’affirmer Ensemble Brochure.